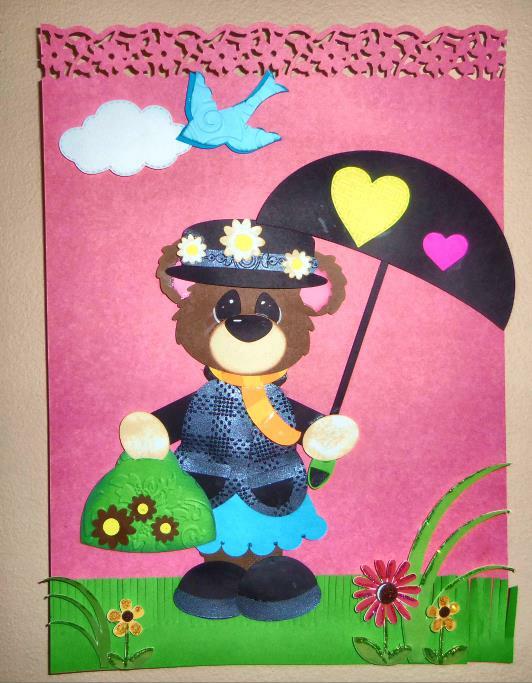 For all my east coast friends and family, just want to say I think finally Spring is almost there. Soon you will be in garden and watering all those beautiful flowers. Enjoy.. 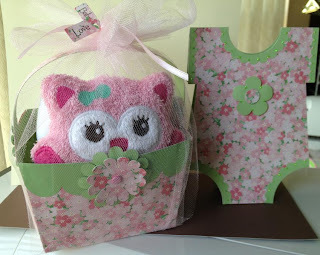 Tomorrow I am going to a Baby Shower and I made this cute basket cut file from the Silhouette store from Lori Whitlock. The Onesie is also from Lori Whitlock. 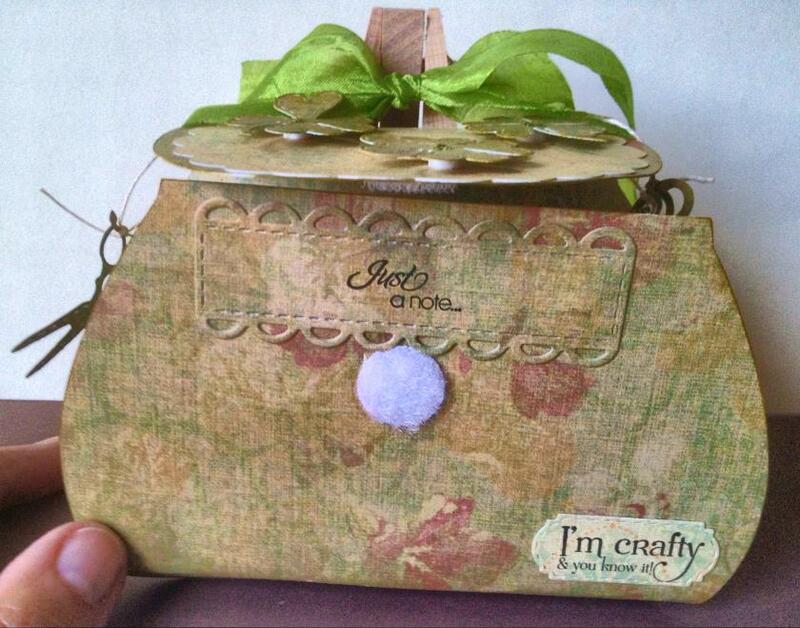 My stamps and dies are from Emma, creativetimeforme.com from her Chunky Jar Accessories and Dies. How cute is this. 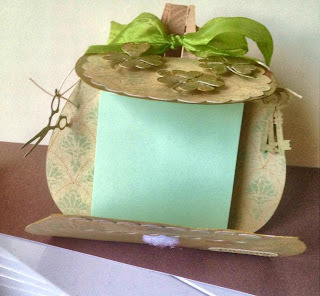 The beautiful paper is from Martha Stewart. 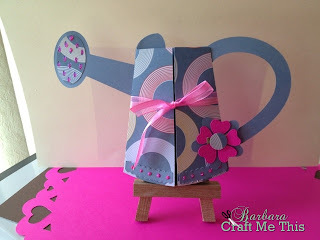 Enjoy and Happy Crafting. Practically Perfect is the cut file from Paper Piecing by Nikki. How cute is she. I have it hanging as you enter my Craft Room.. Of course I added the grass and the flowers and trimmed it out with a flowery border punch by Martha Stewart and cloud die is from www.creativetimeforme.com. I am so in love with my Cameo. It does amazing things and you can be so creative with all the beautiful SVG files that are out there now. Well Enjoy and keep Crafting. 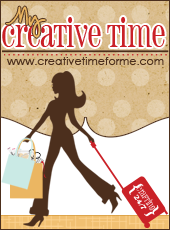 So today I received from Emma from www.creativetimeforme.com the Chunky Jar Accessories. They are so cute. The keys and scissors and much more. 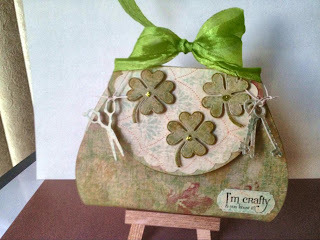 Today I also downloaded a file from www.myscrapchick.com it is this cute little purse card. So of course I had to make it. Since I am going to a St. Patty's Day dinner tomorrow night I made this for the host. 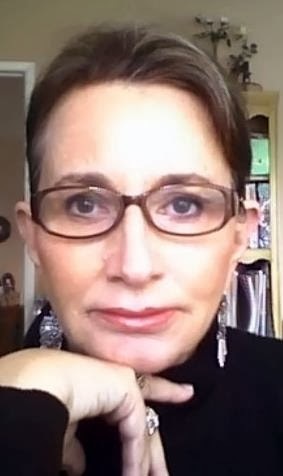 My friend Geri. 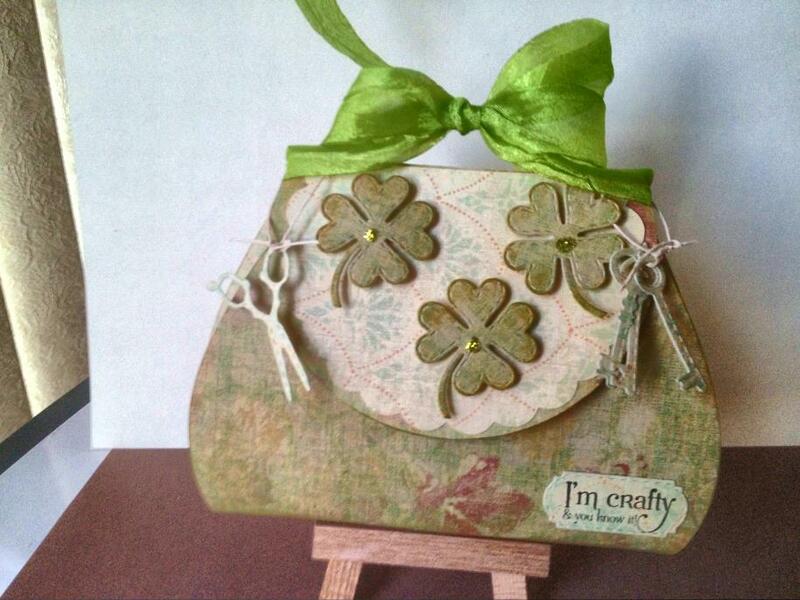 Between the two new items I made this cute note pad purse. Really cute. 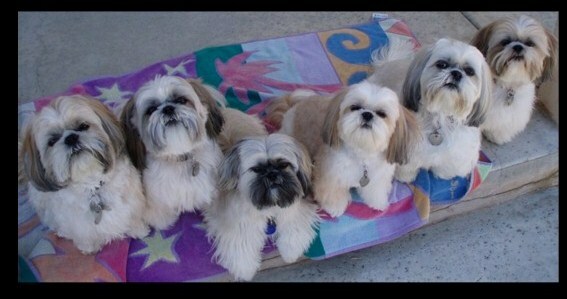 Today is my neighbors doggies birthday. We can't forget them. So he get some treats too. 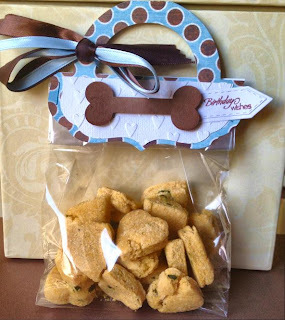 My husband makes doggie treats for my Pack. 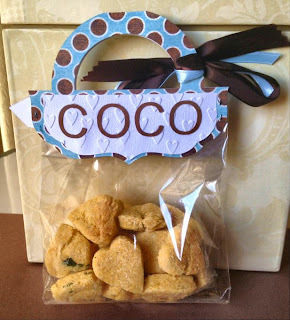 I know Coco will love them too. Happy Birthday Coco. Yesterday was my husbands birthday and so I made him this cute card with the Cameo. 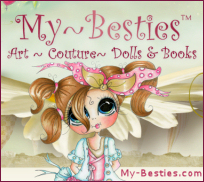 The designs are from www.misskatecuttables.com. 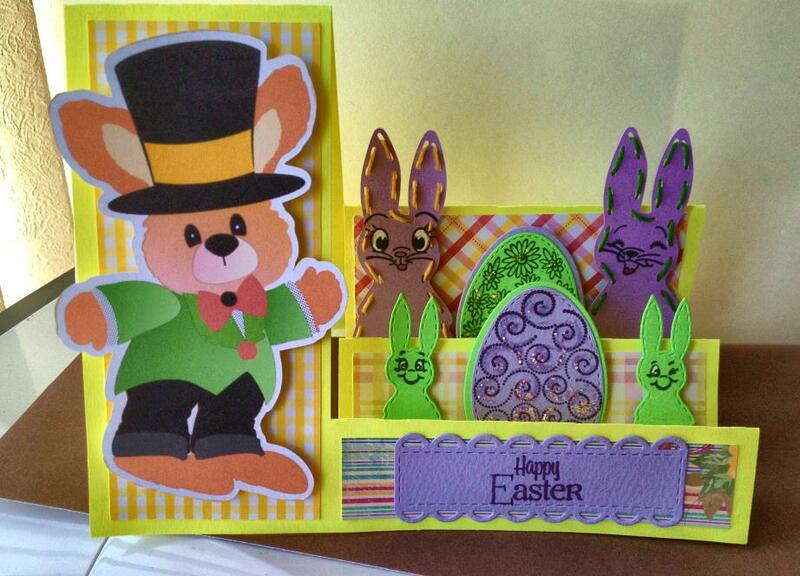 She has easy to cut files and adorable and a Freebie every day. So the frame and the flowers were the freebie and the birdie I bought for .50. The blue and green flowers were cut with MS punch and embossed on the Cuttelbug. 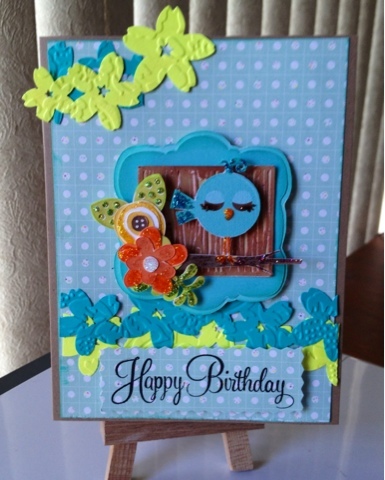 The Happy Birthday stamp is from www.creativetimeforme.com. 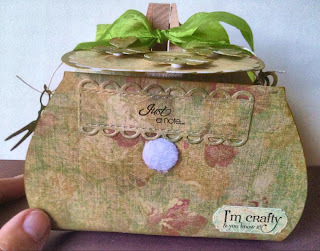 Enjoy and keep crafting.